Today at SaveMore, get a collapsible water bottle for only $5 and free shipping. 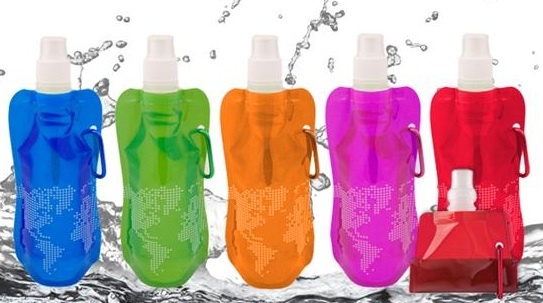 These collapsible, reusable 15 oz watter bottles are BPA-Free and eco-friendly. Want to get one for everyone in the family? Get 4 for $14. Sign up now at SaveMore, and get $10 for signing up, making the deal $10 off. So, if you use your sign up bonus, you get 4 bottles for $4. If you're already a SaveMore member, share this deal with your friends. For each friend that signs up using your referral link, after their first purchase, you will get a $10 credit that you can use.